I'm available for hire for events, business functions, private parties, cookouts, indoors or outdoors. Whether you want soft, background music or louder, more lively entertainment, I can be your one woman show. For booking contact D n L Marketing and Promotion at (401) 919- 5930. This is a link to a video for a sample of what I deliver for cover songs. Promotional Video For "A SERIES OF MORAL DIALOGUES"
As anyone can imagine, getting through 12 rounds of chemo followed by 25 radiation treatments was one of the biggest challenges I have ever faced. Amidst my fears of dying I found tremendous joy because I was given the job of writing all the music for an upcoming play that is currently being shopped on the national theater circuit. This link is a video promo for the play. This video was made in 2012 in support of the Obama presidential campaign. Footage from cliff Walk in Newport RI and The Wildlife refuge in Middletown RI. This is a music video for a song Ellyn wrote about her dog Billie Bumble Holiday! Billie Bumble loves his song and we hope you do too! Ellyn performs a 10 minute solo version of an amazing rock symphony titled "November Rain" written by Axl Rose of the band Guns N' Roses. Ellyn performs a solo acoustic medley of 6 songs by The Rolling Stones. Ellyn Fleming performing her song titled "Truth Is" from her newest CD, "Crow Medicine. Ellyn Fleming performing her song titled, "Broken Glass". DNL Digital Marketing is a full-service digital marketing agency. Our team of designers, web developers, marketing experts, and technology consultants can help your company build brand awareness, grow your client base and integrate systems to increase operational efficiency. One of a kind, spiritual thought teacher, speaker and author with prayers on healing, empowerment and evolution. Transform your life by understanding "The Shadow Effect". Paintings, Illustrations, Photography & Graphic Design. Commissioned work available. Fine art prints from Paula's original work. 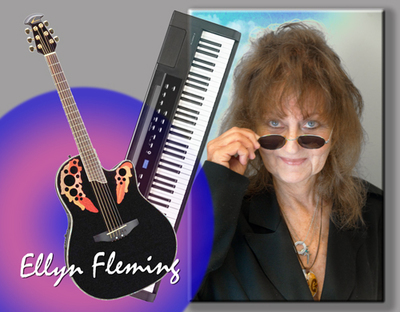 This site displays links to websites for many great acoustic artists. Enjoy ! Music production and music lessons for any instrument. Services provided by Michael DiPippo. New website based on the old Hot Wire: Journal of Women's Music (1984-1994) The site will include links to women's music resources, and more. This is the best place in Rhode Island to call if you need help with your plumbing.